UNITED NATIONS, Feb 26 2013 (IPS) - When U.N. Secretary-General Ban Ki-moon, a former foreign minister of South Korea, met with Psy last October, he jokingly told the wildly popular rapper that he was “a bit jealous” of him. “Until two days ago, someone told me I am the most famous Korean in the world,” Ban told the pop star, who has generated over one billion views on YouTube, the highest ever in the website’s history. “Now, I have to relinquish (that title). But I have no regrets,” he said during a photo opportunity – even as the secretary-general pretended to gyrate like the rapper, triggering peals of laughter in his 38th floor offices in the U.N. Secretariat. But both Ban and Psy (real name: Park Jae-sang), two global brand names from the Republic of Korea (ROK), have been outpaced by one of the largest electronic conglomerates in that country: Samsung. Last year, one U.S. newspaper branded the electronic giant, which has invaded most offices and homes in the United States with its smart phones, tablets, TV sets, refrigerators and washing machines, with a title worthy of its name: the Republic of Samsung (Forget ROK). 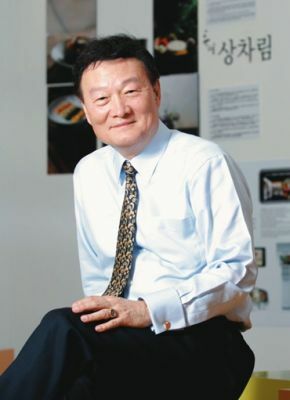 Samuel Koo, chairman of the Presidential Council on National Branding, who presides over a brand-conscious institute in the capital of Seoul, says Koreans seem to have a love-hate relationship with big conglomerates, referred to as “chaebol”, and particularly with Samsung. With its more than 60 affiliates, Samsung accounts for a quarter of Korea’s exports and stock market and generates a whopping 20 percent of its gross domestic product (GDP). In an interview with IPS, Koo said while Koreans are enjoying the fruit of the economic success that Samsung and other chaebol have brought, they also seem troubled by the fact that its enormous power also influences politics, government and even media. Still others complain about Samsung’s outlawing of unions and corporate governance, which lags behind international standards, he added. For example, the Korean Development Institute’s study shows that Chairman Lee Kun-hee’s family exercises voting rights in affiliates that are 17 times greater than the family’s actual shareholdings. The anticipated succession from Lee Kun-hee to his son, Lee Jae-yong, will once again underline the family’s grip on power, said Koo, who last year was the U.N. Commissioner-General for Expo 2012 and also president of the Seoul Tourism Organisation. Q: What is the reason for the growing phenomenon of Korean brand names? A: Aside from Samsung, which made the top 10 for the first time on the world’s 100 Best Global Brands in 2012 by Interbrand, the world’s leading brand consultancy, Hundai and Kia made to the list by being ranked as 53 and 87, respectively. LG, SK and POSCO are other brands that will push Korea to be the economic engine of Asia while sustaining its vibrancy as forecast by experts and news media at home and abroad. Some predict conglomerates such as Samsung will help propel Korea to the rank of the fourth most affluent country in the world in 2050 with per capita income estimated at 107,752 dollars. Q: How visible is the Korean brand name in the world of culture, including art, music, movies and cuisines? A: In recent years, Korea has emerged as a powerhouse in all spheres of culture and sports – the most notable being the phenomenal success of Psy. The Korean Wave, Hallyu, is certainly a recognisable brand in popular culture which includes TV Dramas and K-Pop. Director Kim Ki-Duk’s anti-capitalist movie “Pieta” has won the coveted Golden Lion prize at the Venice film festival. We made to the fifth in the gold medal standings of the 2012 London Olympics. Korean artists’ presence in classical music, ballet.and paintings is iincreasingly visible as well. Korean food is also gaining global attention. Q: Korea is one of the few countries in the United Nations which transformed itself from a recipient of aid to a donor. What would be its contribution to the world’s poorer nations? A: Korea’s overseas assistance programme consists of the overseas volunteer programme called World Friends Korea (WFK), official development assistance (ODA) and Knowledge Sharing Programme (KSP). Since 2009, Korea has sent more than 20,000 WFK volunteers overseas, the second largest in number after the U.S. Peace Corps. The WFK programme will continue to be expanded. Korea’s still small ODA will reach 0.25 percent of its GDP by 2015. Over the last five years we have been increasing our aid to least developed countries (LDCs) and other low-income countries (LICs), particularly heavily indebted poor countries (HIPCs). Our goal of course is to reach the U.N. recommended level of 0.7 percent. Also through KSP, Korea is transferring its development experience to developing countries. Among the countries that have benefited from the programme are Vietnam, Cambodia, Algeria, Azerbaijan and Ghana.